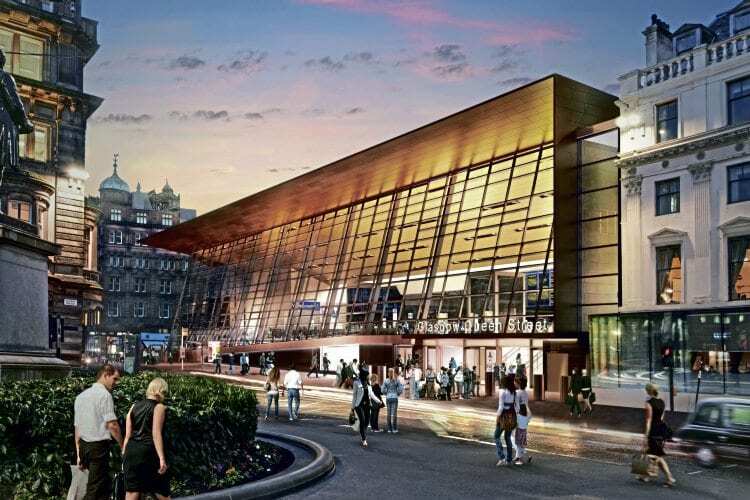 AUGUST 6 saw work begin on the next phase of redevelopment of Glasgow’s Queen Street station. Unlike earlier reconstruction work, this phase does not involve station closures and diversions to scheduled trains, but instead focuses on preparations for the new main entrance building. The station ticket office has moved to the former Vale pub on Dundas Street to enable the work to be carried out safely and efficiently, with the George Square entrance to the station now closed.